Total Escape is celebrating 12 YEARS online! If you are satisfied to stay on the coast at a mega chain hotel, right next to the freeway & sewage treatment plant, go somewhere else. But if you're seeking California specifics, more nature & over-night stays in cool, unique places, then this is your site! Total Escape is not about amusement parks, vacation packages, senior bus tours or Vegas. This huge web site is a collection of thousands of photographs & links. Practical information about cabins, bnbs, camping, road trips, SUV dirt back roads, weekend get aways, travel ideas & local adventures... Outdoors in California! 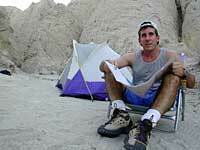 A good portion of California's landscape is desert; perfect for winter camping trips. This is the time of year to see it: Anza Borrego, Joshua Tree, Mojave, Death Valley, and even the Eastern Sierra. Day times temps hover around 70 degrees w/ abundant sunshine. Always check the weather forecast, as the winds will pick up if there is a storm front approaching. California has the most unique terrain and mountains are everywhere. 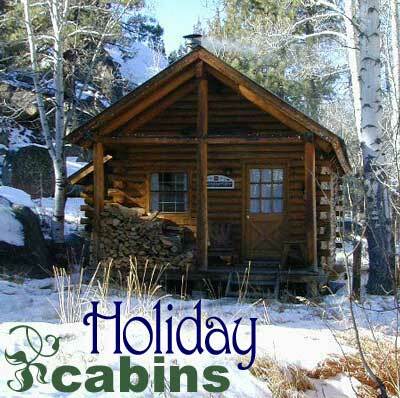 Reserve a holiday away this year - with a huge selection of California cabins and cottages . From SoCal to Shasta, Total Escape has them all listed. The small town innkeepers wanna hear from you (by phone), so give them a call soon, before they all booked up. California saw it's first real snow of the season in mid October. Mammoth opened the whole mountain for skiing early this fall. June Mountain is up & running. Tahoe too. Plenty of small towns experince the white stuff on an annual basis. Find these magical winter wonderlands here, and plan your weekend away on this independent travel site.